first of all, my mind has been pretty busy lately with pulling Graeme's second birthday party together and I'm looking forward to getting my fingers busy making some final additions. 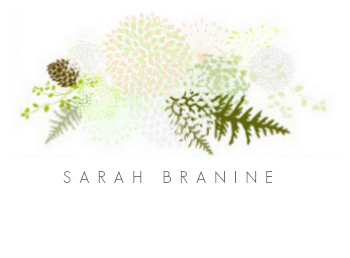 This blog gave me lots of inspiration, in the form of these two photographs, for Graeme's party. 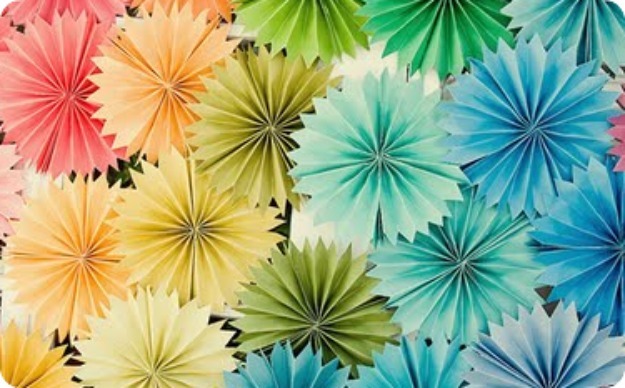 I am hoping to do a photo booth at his party for all of his guests and I am envisioning several of these paper pinwheels for the background. I'll let you know if I am successful in making them or not! I broke down and ordered paper straws. I just love them that much. I also found little candles that spell out "happy birthday", perfect for our alphabet party! And to top it off, I am loving that bunting, but since my goal is to keep this party simple with a capital s, I might have to skip making that detail. 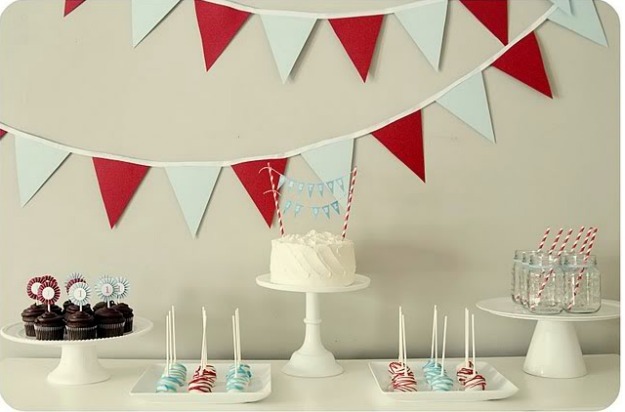 We'll see if the snack table can survive without it and if I can also come up with another use for the bunting post-party! I think Graeme and his little friends will love it! Last, but definitely not least, I found out today that my doctor is allowed to write a note removing me from Jury Duty that was scheduled to begin next week. I had originally put in for an extension, but was denied because this was an "involved trial". That definitely did not sound good to me--it sounded like several weeks away from my Graeme-bear during the day. When I called today and spoke with someone on the phone, they told me that the trial is actually for murder. I am so thankful that I will be able to skip this duty of jury. Very, very thankful! That all sounds lovely for a bday party! Cant wait to see pics of how it turns out. Im not sure how it is out there, but in VA you are excused from jury duty for numeeous reasons...pregnancy being one, but also being the primary caretaker of persons under age 16. I also got summoned for j.d. during my pregnancy and had Ward call the clerk for me and found out I am basically excused for a long time. She said if you have on file you work (they dont know difference bt in/out of home) the computer can summons you since they assume you have child care arrangements if kids are involved so she marked me as stay at home mom in the system. Hope that makes sense and maybe will help out if it comes up in the future. I wouldnt have tried to "skip out" on my civil duty, but it is not feasable at this stage in life. Its nice they take that as a good reason! Can you imagine...umm juror #6 do you have a question? "I need to go potty." Ma'am this is the 5th time this morning, can you please hold it we are in the middle of a murder trial! Juror #6 are you eating? There is no eating in this courtroom. What's going on over there? Juror #6 you are not allowed to have other jurors touch your belly! Oh, I would love to hear your stories from a murder trial (I think), but having just listened to "The Last Juror" by John Grisham I am so glad you were excused of this duty. I love you girl, and you would have been the best juror #6 ever! hi Katherine--so great to hear from you. Yes, I am a little confused about the laws out here. Apparently being the sole care provider isn't enough for them, unless I show proof that I cannot afford child-care. So, I decided to go the route of "um, I will be 32 weeks pregnant at the START of the trial and my little guy came 2 weeks early, so if this little guy decides to come early, you might have to replace a juror part way through your trial" etc. . . I'm just so thankful that they will accept a note from my doctor;-) I did find out too, though, that if you are a nursing mother, you are exempt from duty--so that was quite helpful to know. Yes, I think Virginia should share some of their rules with Oregon;-) I hope you are doing well--Heidi caught me up on your latest addition and she sounds so sweet! Congratulations!